Helping you win new business. With many businesses now based from home or from small shared offices, it can sometimes be difficult to find a suitable space for team meetings or client meetings. 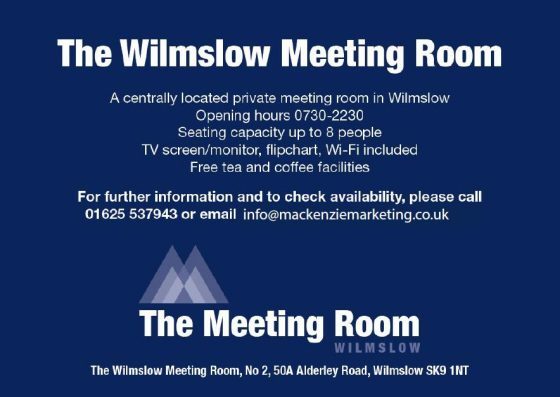 The Meeting Room Wilmslow is the perfect solution – ideally located in the centre of Wilmslow it is a private meeting room, professionally run for those occasions when you need a meeting space. Equipped with screen, flipchart and wifi, the room can accommodate up to eight people. Complimentary tea, coffee, soft drinks and biscuits are included. The room is available from 7.30am to 10pm every day of the week and we have an introductory rate of £15 per hour (or part hour). We’re delighted to be helping our client Castletons Accountants celebrate 20 years in business. Throughout 2017 Castletons will be holding events and celebrations: “A year of celebrating as a team and with our clients” which we’re helping them to organise. We decided to look back at what the world was like in 1997 when Castletons started out, and it brought back a few memories! And do you remember these films which were big in 1997? The Full Monty, Tomorrow Never Dies, The Lost World: Jurassic Park, My Best Friend’s Wedding. 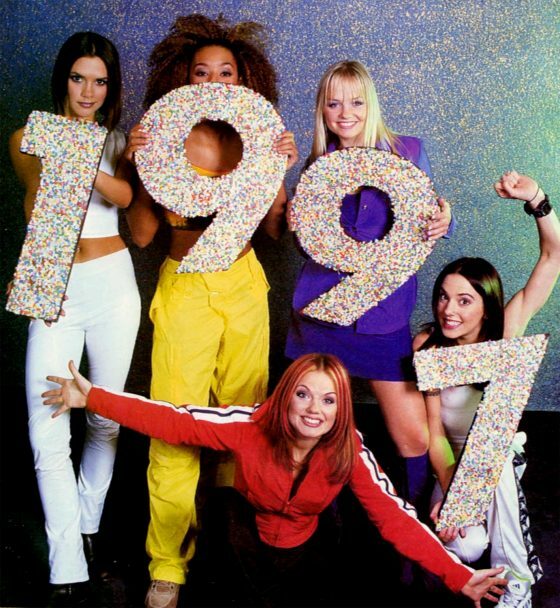 Let’s just hope we don’t have to get dressed up in 1990s fashion as part of this project! It’s that time of year where we like to make new year resolutions – drink less, eat less, exercise more are always popular ones. But have you thought about making some new year resolutions for your business as well? This can be a really good time to take a step back when you’re feeling refreshed after the Christmas break and think about what you want to achieve in the coming year and how you can go about making it happen. •	Write a marketing strategy – this doesn’t have to be a massive document the length of War and Peace, and it doesn’t have to pin down every last detail, but setting down in writing your aims and objectives for the year and what you will do to achieve them can really give you some focus to help then break this down into manageable projects and tasks. Make sure you review your marketing strategy regularly – maybe once a month – to ensure you’re still on track. •	Make this the year you really embrace networking – we all know it’s difficult to make the time to get out of the office for events but it can really pay dividends as you meet new people and increase your network of professional contacts. Don’t forget the value of LinkedIn – if used effectively this can be a great way to network from your office or home. Invest some time in updating your profile and joining some relevant groups. •	Review your social media presence and make sure it is up to date and accurately reflects your business. Make sure you post regularly – it’s a good idea to decide how frequently is appropriate and then make a schedule so it doesn’t get forgotten. Pre-write posts and schedule them with a tool such a Hoot Suite if that makes it easier, or assign different members of your team responsibility for each day / week / month. •	Review your website – is the content up to date, do you need new case studies to showcase your best / most recent projects? Is it time to refresh the overall design of the website? This doesn’t have to cost a fortune and can really help to present your business in the best possible light. Make sure your site works for smartphone and tablet users – if not, you’re annoying (or even losing) a large proportion of potential customers. We hope this has given you some food for thought. 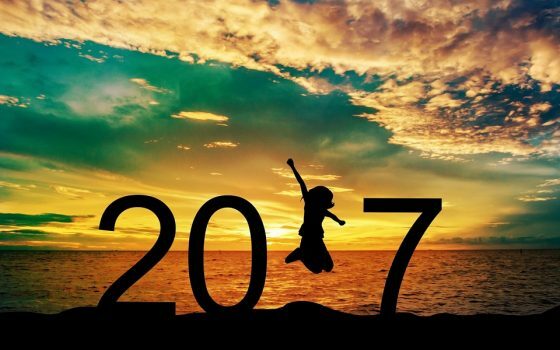 Happy new year from everyone at Mackenzie Marketing and we hope 2017 is a successful year for you. Zach Henshaw joined us as an apprentice in September 2015 and in September this year he successfully completed his apprenticeship. The apprenticeship was supported by The Apprentice Academy, one of the region’s leading providers of apprenticeships. The Apprentice Academy has a track record of working with more than 300 employers to guide talented learners in launching their careers, delivering high quality apprenticeship programmes as well as developing candidates and employers to get the most out of their apprentice experience. 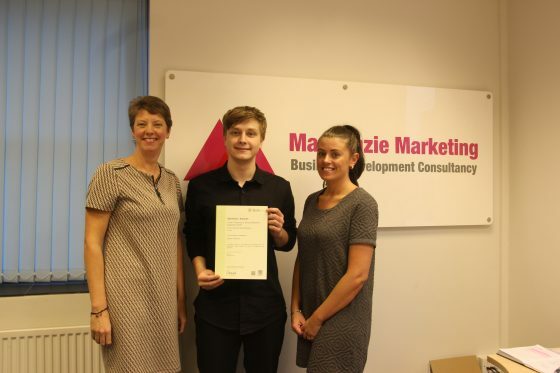 The Apprentice Academy and Mackenzie Marketing celebrated Zach’s achievement earlier this month by presenting him with a certificate. It can be difficult for young people to take their first step on the career ladder as companies often ask for previous experience and / or a degree. An apprenticeship can be a great way for school leavers who don’t want to go to university to get started in the workplace and earn while they learn. 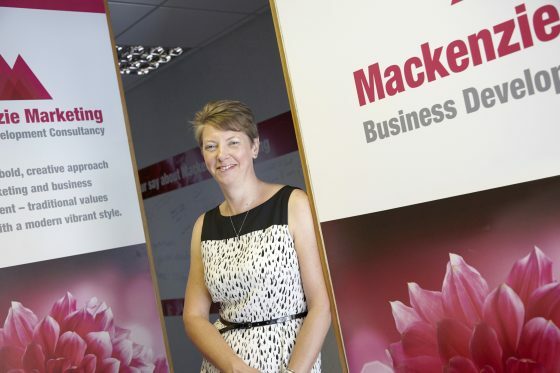 Wilmslow based marketing consultancy Mackenzie Marketing has been shortlisted for two Awards: the Federation of Small Business micro Business of the Year Award and the Talk of Manchester Full Service Marketing Agency of the Year Award. Managing Director, Catherine Mackenzie commented: “We’ve had quite a year so far. We work with clients to help them grow their businesses, but at the end of last year we started to really focus on growing our own business too. We moved office within the Emerson portfolio to 50A Alderley Road to give us more room to grow; and we appointed a new Marketing Executive, Natalie Tzitzas who has over ten years’ marketing experience. Over the last few months we have secured a number of new clients including Heddy’s restaurant on Water Lane, Wilmslow based Talent HR & Recruitment, and the Private GP Practice based in Hale. The Talk of Manchester Award is decided by the number of votes that the shortlisted companies receive. If you would like to vote for Mackenzie Marketing go to the Talk of Manchester website to find the link to the voting process before 28th October. © 2019 Mackenzie Marketing Limited. All rights reserved.